The company trialled the scheme last year and it proved so popular that it is happening again. Trees of Remembrance are now standing at Douch & Small in Wimborne, AE Jolliffe & Son in Ferndown, Lesley Shand in Corfe Mullen and Blandford and Albert Marsh in Wareham. Anyone is invited to pop in to a branch and write a message for a loved one then hang it from the branches. 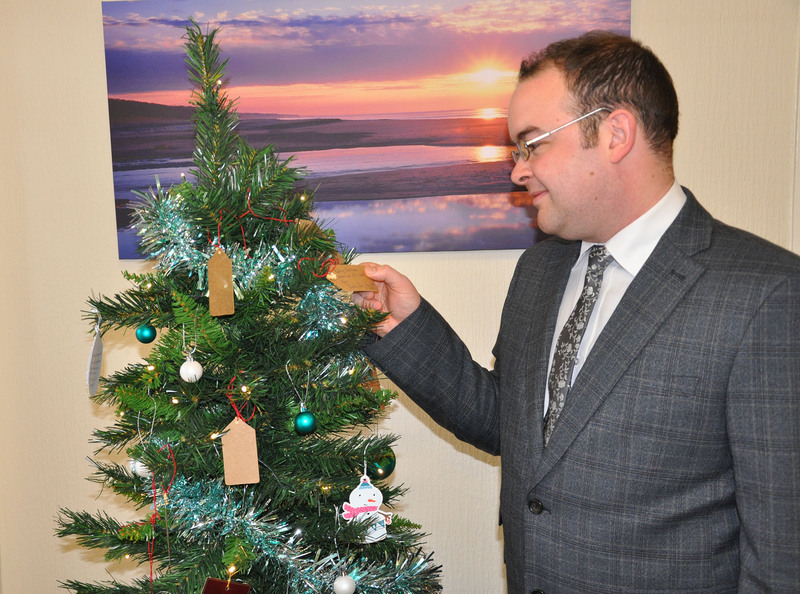 While it is free to put a message on a tree, for a small fee a bauble can be purchased to hang on a branch and monies collected will go to EDP Drug and Alcohol Support. Douch & Small in Wimborne have also sponsored a tree for the Wimborne URC Christmas Tree festival. Michael Wilton, who manages AE Jolliffe & Son in Ferndown, said: “It is a wonderful tradition and has carried on from last year due to the demand.